You’ve heard a lot about cannabis and its many health benefits, and you’re ready to try it, but you don’t want the mind-altering experience. Believe it or not, smoking cannabis does not have to make you high, even when decarboxylated (a process that creates and releases the psychoactive effects from marijuana). Not all cannabis is recreational, and different strains of the cannabis plant have different properties. While recreational cannabis is high in THC, industrial hemp contains very little and won’t cause psychoactive effects, especially if the strand is high in CBD. If you would like to experience the calming effects of CBD for yourself and don’t feel comfortable with mind-altering substances, try hemp oil or decarboxylated products made from industrial hemp. But before you go rushing in, you should probably know a bit about the basic science behind the preparation of cannabis for consumption and the various methods available to you. 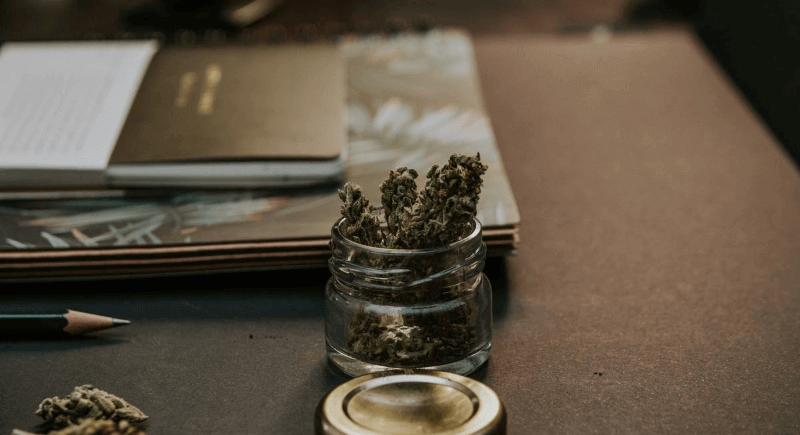 To save you the trouble of searching for answers, we’ve put together a handy guide that will introduce you to some key terms and processes and walk you through a few different methods of describing your cannabis, depending on how you like to consume it. What is decarboxylation, and what does it do? Despite the long, hard-to-pronounce name, decarboxylation (1) is a fairly simple process during which cannabis is treated with heat or is aged to activate its psychoactive (mind-altering) and relaxing effects. This process also happens naturally when the cannabis dries and ages. That’s right – despite what you may have heard, raw cannabis doesn’t actually contain any psychoactive compounds. The psychoactive ingredient THC only activates when cannabis undergoes heat treatment or when it dries and ages, though it’s important to note that the decarboxylation effect is much stronger when heated rather than when aged. Without getting too technical, here’s a little background information to help you understand what happens during the decarboxylation process, also sometimes called “decarbing” or “activating” cannabis, and why not all decarboxylated cannabis makes you high. The definition of decarboxylate is “to remove a carboxyl group from a chemical compound.” We know what you’re thinking – what on earth is a carboxyl group, and what does it have to do with cannabis? The answer to that question involves three main concepts you’ll need to be familiar with: THC, CBD, and cannabinoids. We’ll explain a little more about that below, but the short version is that a carboxyl group is an extra molecule attached to the THC and CBD components of your cannabis that prohibits these compounds from interacting with the endocannabinoid system of your body, preventing any psychoactive or calming effects. The decarboxylation process removes this extra molecule and opens up the THC and CBD compounds to attach to cell receptors, resulting in a “high” if the cannabis plant is high in THC and deep relaxation if the cannabis plant is high in CBD. If you understood all that, congratulations – you have a pretty comprehensive knowledge of biology. If you didn’t, read below, and we’ll explain. To summarise, decarboxylation is a process that activates your hemp, making it active by removing the naturally occurring carboxyl group (2) from cannabinoids and allowing it to interact with the cell receptors of your endocannabinoid system. This interaction is what causes you to get “high” when using plants with a high THC content and relaxed when using plants with a high CBD content. Cannabis contains over 500 naturally occurring compounds. At least 85 of these are cannabinoids, a group of active compounds found in cannabis, though most are not psychoactive at all. What might surprise you is that your brain actually creates its own cannabinoids called endocannabinoids. While these are similar to those found in cannabis, they never produce psychedelic effects, much like CBD. These endocannabinoids are part of the endocannabinoid system, which includes specially adapted cannabinoid receptors. It’s important to know about the existence of the endocannabinoid system because this is how the cannabinoids found in cannabis interact with your body. That’s right: this means that your body is essentially already geared for the consumption of cannabinoids. Of course, this doesn’t mean that the human body is designed for it, just that there is a system already in place that the cannabinoids found in cannabis can make use of. THC is the psychoactive cannabinoid found in some strains of cannabis. The first thing you need to know about THC (delta9-tetrahydrocannabinol) is the difference between the compounds contained in raw and decarboxylated cannabis. These bonds also decompose naturally over time, which is why decarboxylation also occurs when your cannabis ages but at a much lower rate than heating. The cannabinoid THC is also responsible for the buzz and psychoactive effects during a high. It has been known to cause feelings of elevation or, in some cases, sleepiness, bliss, euphoria, and general pain relief. THC is also the main chemical compound famous for the hunger-inducing effects of cannabis. When smoked, its psychedelic effects are fairly short-lived, usually lasting no more than 3 hours after inhalation. With edibles, the effects usually take between 30 minutes and 2 hours to fully manifest and are far more potent than with inhalation. Arguably the most important cannabinoid in cannabis is CBD (cannabidiol). This cannabinoid is completely non-psychoactive but can have an important calming and relaxing effect on the mind and body. While it doesn’t attach to your cannabinoid receptors in the same way as THC, the process for activating it is the same. A raw cannabis plant doesn’t contain any CBD; it contains CBDA (cannabidiolic acid) instead. Once again, this means that there is an extra molecule present in the compound that prohibits the CBD from interacting with your body in much the same way as with THC. This means that decarboxylation is also necessary to activate the effects of CBD in your hemp. While THC is responsible for the intoxicating effects of consuming cannabis, CBD is responsible for the relaxation component of your high without any of the psychoactive experiences. CBD can actually work against THC by reducing and regulating the psychoactive effects produced by the compound. This means that products coming from strains of cannabis that are high in CBD do not have any mind-altering effects whatsoever, even when decarboxylating it. CBD is also well known for its promise of medical benefits as an anti-inflammatory, antioxidant, antidepressant, and analgesic, among others. CBD might also help alleviate any bouts of anxiety that are brought on by a dose of THC. CBC (cannabichromene) may act as a potential anti-inflammatory, anti-tumor medicine, anti-depressant, and anti-fungal and may even encourage brain growth by stimulating brain cells during neurogenesis. CBN (cannabinol) occurs naturally when cannabis is aged without being cured for too long (or when you forget to put away cannabis and it gets stale), and it can potentially act as an appetite stimulant, antibiotic, medication for ALS patients, a pain reliever, medication for glaucoma, and a sedative. CBG (cannabigerol) is another cannabinoid that might act as an antibiotic as well as a potential treatment for psoriasis, pain, depression, tumors, and mood stabilization. THCV (tetrahydrocannabivarin) may help as an anticonvulsive, neuroprotective, and a weight loss promotive. CBDV (cannabidivarin) acts as a potential antiepileptic and anti-nausea medication. Delta(8) THC may assist people as an appetite stimulant and anti-nausea medication. Raw cannabis is exactly what it sounds like: cannabis that hasn’t been treated with heat or been aged, meaning the decarboxylation process has not occurred. As explained in detail above, this means that the THC and CBD are still in their acidic forms (THCA and CBDA), so you will not feel any psychoactive or relaxing effects. Raw cannabis still has many beneficial properties, however. 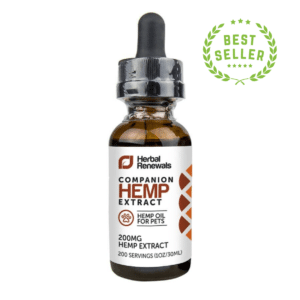 In their acidic form, the cannabinoids may have powerful anti-inflammatory properties, and the hemp is packed full of beneficial vitamins and micronutrients. Raw cannabis containing THCA and CBDA can be ingested as a nutritional supplement or even applied topically. Taking cannabis as a raw supplement by ingesting it can still have benefits, such as potential anti-inflammatory and antioxidant properties, as well as possibly improving intestinal and neural functions. It’s an all-around beneficial plant. 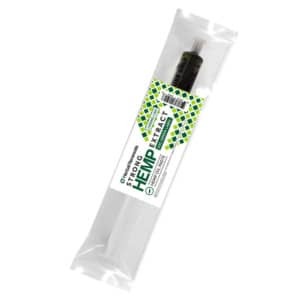 For the successful decarboxylation of your hemp, we have put together a simple guide for you. Just follow the instructions below, and you’ll decarboxylate your cannabis like a pro in no time. (Well, maybe a little bit of time). Just be careful about increasing the temperature as you may burn your cannabis and lose your terpenes. Remember, it’s impossible to calculate how strong or potent the edible will be as this is dependant on the THC and CBD content of the cannabis you are using. Now, to get started, we’ll need to make a few preparations. Firstly, make sure you have everything you’ll be using ready to go. You’ll need a regular baking pan, an oven, aluminum foil, and, of course, your cannabis. To prepare your pan, spread out aluminum foil to cover it entirely. Then use a hemp or coffee grinder to grind up your cannabis into a coarse powder, and spread it out evenly over the entire pan. You want to create a thin layer that contains as few clumps as possible. Don’t crowd your cannabis. For the best results, the hemp should be evenly ground and spread around on a large baking pan with plenty of room to breathe. Before you do any baking, you should know that this will completely fill your house (and the neighborhood) with the smell of freshly baked cannabis. This hemp is highly pungent and releases an exceptionally strong odor, so make sure your windows are open and your house can be aired out easily. For the perfect result, preheat your oven to 240°F – this is the ideal temperature for the release of terpenes. As a rough guide, you should bake half an ounce of cannabis for approximately 40 minutes and adjust the time accordingly if you are baking more or less. Make sure you keep an eye on it or set a timer. Trust me, you don’t want it to burn! Alternatively, if you are really in a rush, you can also cook it for 10 minutes at 310°F, but once again, the slower the process, the better the product. Take it out of the oven once the designated time is up. Your cannabis should now be a golden brown color and smell heavenly. This means you’re ready to go. Let it cool a little, and throw it in some edibles. This method is perfect for baked goods and sauces like spaghetti bolognaise, smoothies, pizza, scones, hummus, pesto, or even pulled pork. Remember, you can put it in absolutely anything, not just brownies. What are the different methods of decarboxylation? Of course, there is more than one method for decarboxylation (4). Depending on what resources you have available and what you’re planning on making with it, you have a few different options for how you can decarb your cannabis. This method is perfect for when you’re cooking with recipes that require oil as you can simply substitute normal oil for the same quantity of cannabis-infused oil. This method is great for brownies, popcorn, chocolate, salads, stir-fries, nachos, soups, and dressings. The best part about this recipe is that you can use whatever oil you like: peanut oil, coconut oil, sesame oil, olive oil, avocado oil, or grapeseed oil. What’s your favorite? For this method, you’ll need to prepare a medium-sized pot, large bowl, cheesecloth, fine strainer, a grinder, a bottle of your chosen oil, your hemp, and a stove top. Once again, for best results, your cannabis needs to be finely and evenly ground, so grab your grinder, and get to work. Once you have your pile of perfectly ground cannabis, move on to the next step of preparing your oil. To do this, add one cup of ground cannabis to one cup of oil. The one-to-one ratio is only a general guide. Potency is fully dependant on how strong your cannabis is and how low long you cook it for. For a less potent product, use more oil, and for a more potent product, use less oil. Just make sure that the ground cannabis is freely floating in plenty of oil or you run the risk of burning it and wasting the CBD. Cook the oil and cannabis mixture on low for a few hours. When cooking in a pot on a stove top, you run the risk of scorching, so make sure your heat never exceeds 245°F and you stir frequently for anywhere between 3 and 8 hours. Also, keep in mind that some oils burn at a lower temperature, so make sure to check this before turning up the heat as you don’t want to burn your oil. This method is also quite pungent, and the hempy smell will waft through your house, so make sure to keep doors and/or windows open for ventilation. Once your mixture has been boiling on low for a few hours, you can take it off and let it cool a little so it’s safe to handle. Prepare a large bowl by putting it in the sink, and put the strainer in the bowl. For the best results, line the strainer with a cheesecloth to filter out any small particles of hemp that might get through the strainer. Now, you can begin pouring out the mixture into the prepared bowl. Once you have poured the whole mixture through the strainer and into the bowl, gently lift out the cheesecloth and squeeze it out, holding all four edges together around the oily hemp particles, in order to get the maximum amount of oil out of your hemp and reduce wastage. That’s it. Your oil is ready to use! If you’re worried about the smell that results from cooking cannabis, this is the method for you. Because the hemp is bagged, odors are sealed and minimised. This is by far the most odorless way to cook cannabis. This method will require you to have boil-safe and resealable bags, a grinder, a pot with a fitted lid, your hemp, water, and a stove top. For even heat dispersion, you want to grind up your cannabis into a coarse powder before sealing it into a zip bag. Make sure not to overcrowd the bag, and leave plenty of space for heat expansion of the air. Basically, this means you should leave plenty of room for the cannabis but push out as much of the air as possible before sealing the bag. When you put it in the boiling water, the heat inside will expand. This means that, if your bag is already too full of air or cannabis, it may open or pop, wasting your product. Fill your pot with water to around half way and bring to a boil. Once the water is boiling, gently lower your sealed bag(s) of ground cannabis into it, and place the lid on top. Due to the low and constant temperature of the water, this method yields great results, but it takes a little longer. You want to boil the bags in the water for at least 90 minutes before taking them out, but feel free to leave them in for longer. The only thing you need to watch out for is the water evaporating completely as this will cause the bags to melt, and your product will be ruined. You can top up the water as needed, but this generally can be avoided by having the stove set to the right temperature – just keep in mind that the water should be boiling, not simmering. Once the required time is up, take the water off the stove, and let it cool. Take the bags out of the water (with tongs if the water is still hot), and place them on a rack to cool as well. You don’t want to open them while they are still hot as you will release hot steam and vapors. Once they have cooled, you’re good to go. Throw the decarbed cannabis in whatever you like, and enjoy, just like the baking method. This is a classic for a reason – cannabis-infused butter is one of the most versatile ways to use cannabis in edibles as it’s just butter! You can use it as a substitute in any recipe that uses normal butter, but you can also spread it on toast, have it on pancakes, melt it on baked potatoes, put it on a sandwich, melt a cube of it on top of a steak, or even make butterscotch. The possibilities are truly endless. This method is a little more complex than the last but still quite simple. All you need is a stick of melted butter, a saucepan, water, a grinder, a fine strainer, a stove top and, as always, your cannabis. And don’t worry, cannabinoid-rich, cannabis oils are not water soluble, so all the good stuff will go straight into the butter. As with the other methods, you want to grind your cannabis into a coarse powder before you commence with cooking as this helps the heat disperse evenly and the oils dissolve in the butter efficiently. The general measurement for the butter mixture is one pound of butter to one ounce of cannabis to one cup of water, but, as always, the potency is dependant on your bud, and this guide is a rough estimate only. Keep in mind, you can top up the water at any time as the cannabinoids will not dissolve in it, and it will not affect your potency. The water is necessary in this recipe because of the low burning temperature of butter as the butter floats on top of the water, keeping it from the direct heat on the bottom of the saucepan. Once you have your mixture ready to go, turn your heat on low, and let it simmer for at least two to three hours. You want to keep a close eye on it to ensure it’s not burning and to top it up with a little water if needed. The cannabinoids will detach from the plant material and attach to the fats in the butter, giving you beautiful cannabutter. After you’re satisfied that it has cooked for a sufficient amount of time, remove it from the stovetop, and let it cool a little. At this point, it’s a good idea to strain the whole mixture into a bowl before putting it in the fridge and leaving it overnight. The cold temperature will cause the butter to separate from the water and float in a solid cake on top. Once the separation is complete, take the butter cake from the top, and discard the water. Cannabutter can be wrapped and stored in the freezer in a sealed container and used as needed for up to six months. Just remember, it’s important that you don’t use a microwave to heat the cannabutter as this will damage the cannabinoids and affect the potency. Bon appetit! Terpenes and terpenoids (4) play a key role in the decarboxylation process of cannabis. They are alcohol and fat-based molecules that are responsible for the fluidity of the cannabinoid-containing fluids in cannabis. They are also the molecules in the plant that give it its flavor and scent – no terpenes, no flavor. Preserving terpenes is an important part of the decarboxylation process and is one of the main reasons why the decarboxylation processes should be conducted at lower temperatures. While both THC and CBD begin to evaporate at temperatures of above 300°F, some terpenes and terpenoids become damaged at lower temperatures. Now that you’ve done your preferred decarb method and you have your product ready to go, you can start cooking! We’ve included links to some simple recipes to get you started below. You can use any of the forms of decarboxylated cannabis in these recipes. We promise they’ll be delicious. To make the dough for the crust, start by combining the warm water, sugar, and yeast. This will activate the yeast, allowing for a rising dough. Let this sit for about 10 minutes.Add the hemp protein powder, whole wheat flour, and 1.5 cups of your all-purpose flour along with the salt, oils, and oregano. Mix until the flour and other ingredients are well-incorporated. Gradually add more tablespoons of flour until the dough holds together and loses its wetness and stickiness. Once you’ve reached this point, stop adding flour and continue mixing for 10 minutes or knead the dough by hand until everything is well-incorporated but still soft. Roll the dough into a large ball and place into a pre-oiled bowl. Cover the bowl with plastic wrap and let it sit in a warm spot to rise until it has doubled in size (about 1 hour). After the dough has risen, knead it to deflate and roll it onto a flat floured surface. Cut the dough into two equal portions. Form the dough into two separate balls. Cover the balls with clean towels and let sit for 45 minutes. Preheat your oven to 500 degrees. Roll your dough balls out flat, and place them on either two large baking trays lined in parchment paper or onto stoneware. Use a fork to poke small holes about an inch apart throughout the crusts. Place in the oven and bake for 10 minutes. Mix together your garlic, olive/hemp oil, and salt and pepper. After 10 minutes, remove your crusts from the oven and turn the heat down to 400 degrees. Brush your crusts with the oil-garlic mixture. Top the crusts with the slices of pear and brie. Place in the oven for another 15 minutes or until the edges are golden brown and the cheese is melty. Much thanks to Herb.co for the delicious recipe. Preheat your oven to 340 degrees. Spray, oil, or butter a 9×5 inch loaf pan. Whisk together the flour, salt, and baking soda in one bowl. In a separate bowl, combine the mashed bananas, sugar, cannabutter, eggs, yogurt, vanilla extract, and pecans. Add the dry ingredients (the flour, salt, and baking soda) to the wet ingredients. Stir until everything is just incorporated. Avoid overmixing. Pour the mixture into the greased loaf pan. Smooth out the surface for even baking. Bake about 45 to 50 minutes or until the bread is light golden brown. If you’re not sure, poke the bread with a toothpick. It should come out clean. Remove the bread from the oven. Wait 10 minutes before turning the bread out of the loaf pan. Allow to completely cool before serving. This banana bread recipe also comes from Herb.co. Preheat the oven to 375 degrees. Use a fork to poke holes in each potato. Place the potatoes on a baking sheet and place in the oven for about an hour or until fork tender. Remove the potatoes and allow them to cool. Once they are cool enough to handle, cut them in half and spoon out the insides while maintaining the shape and structure of the skins. Mix the potato innards with the cannabutter and sour cream, along with salt and pepper to taste. Mix until the potatoes are relatively smooth. Spoon the potato mixture back into the skins. Place them back in the oven for about 10 minutes or until the tops begin to look golden-brown. Remove and add your desired toppings. We got this recipe for Herb.co as well. How to decarb weed for cooking? All of the decarboxylation methods described in this article are absolutely perfect for cooking with edibles. Can I Decarb Weed in a Slow Cooker? You can also use a slow cooker in place of a pot or saucepan in any of these recipes. Just make sure that the temperature doesn’t reach above 249°F. While CBD itself begins to evaporate at above 390°F, a lot of other beneficial cannabinoids begin to get lost at temperatures exceeding 250°F. How do I decarboxylate marijuana? You can either heat it or cure and age it. Both of these methods cause the cannabinoids in cannabis to be activated to different extents. Once activated, they can interact with your body when consumed and may have relaxing effects. How do I decarb cannabis oil for making edibles? There are a number of different methods for decarbing cannabis, but the easiest way is to heat it at a low temperature for an extended period of time, then either add it to a recipe or use substances like cannabis-infused oil and butter in place of normal oil and butter. How much weed is a pound of weed? This can vary wildly in terms of appearance. Depending on the strand, whether it’s mostly leaf or bud, and how compressed it is, a packet containing one pound of cannabis can be anywhere between the size of a cantaloupe to the size of a pillow. Never judge a pound by its cover – always measure by weighing the product. What’s a simple recipe for weed brownies? Easy! Put one cup of all-purpose flour, four tablespoons of hemp oil, four ounces of crushed chocolate, three eggs, two cups of sugar, half a teaspoon of baking powder, and a pinch of salt in a large bowl, mix well, pour into an oiled baking pan, and bake at 350°F for 35 to 40 minutes. Let it cool, and enjoy! What is the best way to decarboxylate marijuana for CBD? Any of the decarboxylation methods described in this article, such as an oil bath, cannabis-infused butter, or baking, are great for decarboxylating CBD. How can one make cannabis edibles? Use decarboxylated cannabis and its products. To turn any food into a cannabis edible, simply add decarboxylated cannabis or any products containing it, such as cannabis-infused oil and butter. Will eating less than a gram of weed get me high? This depends on a number of factors, including the THC content of your cannabis, your tolerance, and your method of consumption. 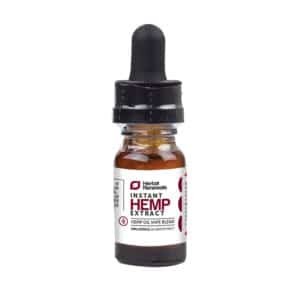 Products made from industrial hemp contain very low doses of THC and very high doses of CBD, meaning no matter how much you consume, you will never feel any mind-altering effects. Why might someone not feel the effects of medical marijuana edibles while others with higher tolerances feel the effects heavily? Cannabis affects everyone differently. It’s important to remember that. You should never compare the effects cannabis may have on someone else with the effects it has on you. 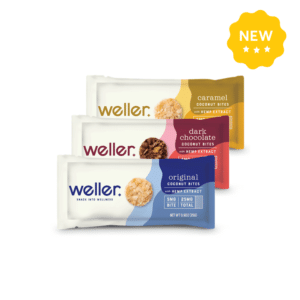 Additionally, with edibles, it is very difficult to have a consistent potency and strength, making it even more difficult to judge why and how it may affect you or others each time. 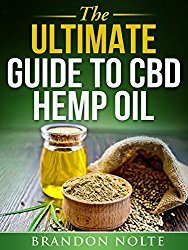 What if I just want to buy CBD oil instead of going to the trouble of making it myself? There are plenty of hemp oil products available for purchase. We recommend you have a look at this guide for help with making the right choice for you. Can I put cannabis in tea? Absolutely! In fact, we recommend it. The best way to use cannabis in tea is to put a few drops of hemp oil in a cup of your favorite tea and enjoy. Why don’t dispensaries sell decarboxylated weed? It’s not clear if it’s not profitable to sell decarboxylated cannabis due to the simplicity of the process (meaning users would rather do it themselves than pay a higher price) or whether people simply aren’t that aware of decarboxylation and its effects. The common theme seems to be that there just isn’t much of a market for it. Yet. Yes! The benefits of CBD are reported by a growing number of people every day. We hope you’ve learned a lot about the decarboxylation process as well as the important differences between CBD and THC. Remember, there’s no need to be worried as you can absolutely have the beneficial effects of cannabis without the hallucinogenic effects of THC. Now that you understand the decarboxylation process and how it affects your products and body, is this something you’d try?